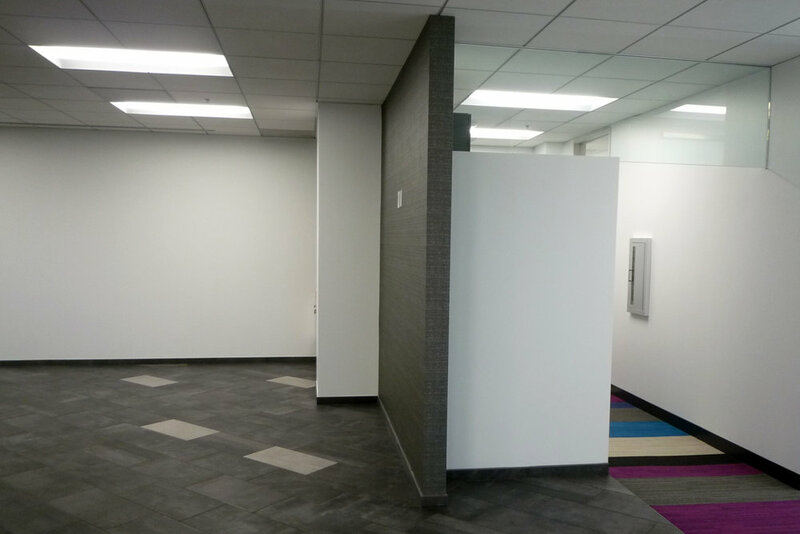 The new headquarters for a marketing/tech company was to be re-located on an entire floor of a high-rise building in the Wilshire Corridor. The layout of the new office had to contend with an irregularly shaped building footprint, as well as functionally distinct departments within the company, each with distinct organizational structures. The design of the raw space also had to balance the need to portray a playful and fresh work environment, while retaining the authority of a 30year old business. 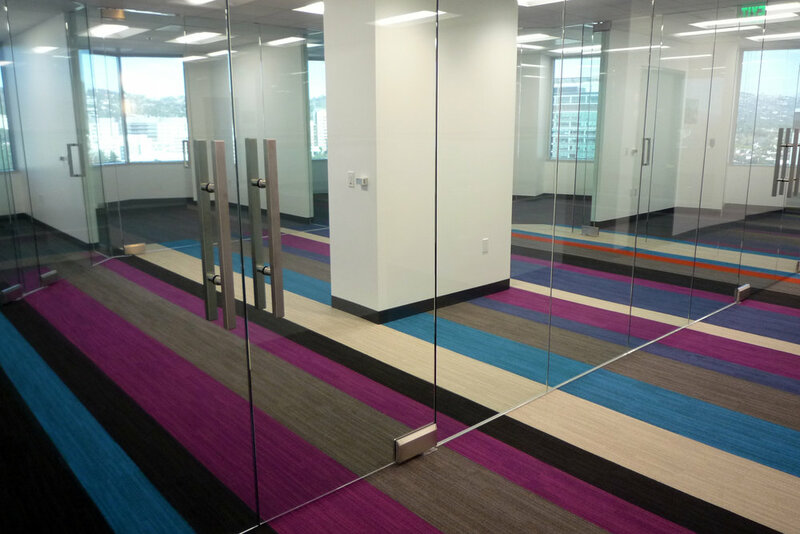 The design solution employed a colorful flooring layout to both unify and, through gradients, distinguish various departments. The extensive use of glass partitions, reflective of the outside edge of the building, also contributed to a sense of playfulness, without compromising functional needs.